Bull’s Retreat - OUTTA THIS WORLD! - Ghumakkar - Inspiring travel experiences. 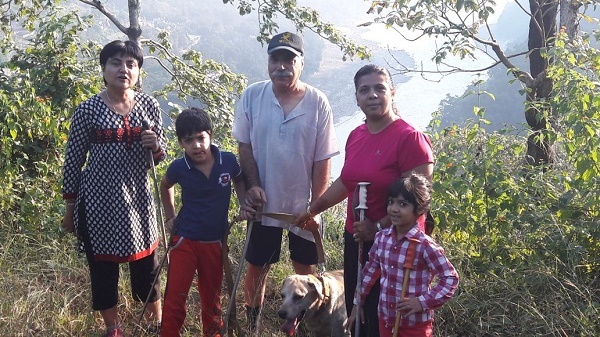 I, my wife Rajni, daughter Neerja (Nanu), son Gaurav (Sheri), his wife (Shefali) and their two kids Aahaan (8 yrs) and Aariana (5 yrs) visited Bull’s Retreat from 14 to 17 Oct 2017 in Shivpuri, 250 km away from Noida in the Shivalik foothills. Rishikesh is one of the holiest small towns on the banks of the Ganga River as it comes down from the Himalayas to enter the plains in Rishikesh (you may also look for a similar posts!) . Staying in Maharishi Mahesh Yogi’s Ashram, the Beatles were mesmerised by its scenic and spiritual beauty. 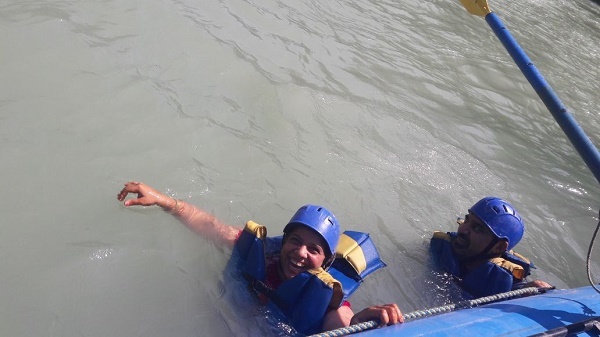 Located on road to holy Chardham, it attracts people for meditation, spiritualism, yoga and is named as ‘Adventure Capital of India’ for white water river rafting, trekking and riverside camping. Shivpuri, 18.5 km from Rishikesh on road to Badrinath, located on the western bank of Ganga is quaintly beautiful village that hardly got any attention till Bull’s Retreat poularised adventure sports. As one enters Shivpuri, It is impossible to miss Bull’s Retreat with eye catching billboard with meaningful mountaineous setting and the fast flowing Ganga with crystal clear cold water, gorging through narrow hills ideal for relaxation, rejuvenation, meditation, yoga, serenity, adventure sports like rafting, camping, trekking, rock climbing, rappelling, zipline, flying fox, etc. bird watching, Ganga Aarti, temple visits or simlpy lazing around in Bull’s Retreat. 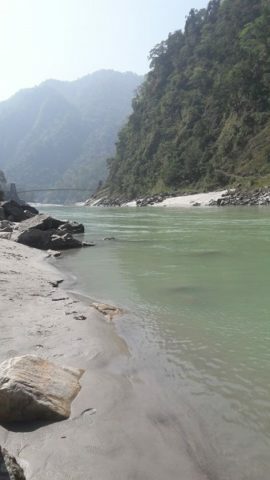 The Ganga ends its mountainous journey that makes it a great white rafting experience and sadly the unfortunate pollution it gathers making river most unholy thereafter! Col Narinder Kumar is India’s most highly decorated soldier and mountaineer of the international repute, nicknamed ‘Bull’ for his prowesses in boxing as a young cadet; was visionary to start resort for stress busting and adventure sports, rightly named as ‘Bull’s Retreat’ in lush green surroundings in hills with wide arrays of bright colours of the plants, flowers, buildings, monkys, squrils, colourful butterflies and the birds chirping, blending so well with tourists, hospitality and the gastronomic delights of its Kashmiri cooks! These ‘Go Green’ colourful compounds and adventure sports activities with adequate safety measures, provide immense physical and mental relaxation to visitors. Around 0930 hrs, we packed up in Neerja’s new XUV500 Mahindra with Shefali and our grand children, while in my old but dependable Dezire, driven by Sheri carrying me, Rajni & Happy to Shivpuri. Bypassing Ghaziabad, near Muradnagar, we turned left at Daurala under the bridge onto the Upper Ganga Canal to avoid congested Modi Nagar and Meerut, joining NH 334 at khatauli, short of Muzzafarnagar. This stretch of road is not in good condition and unsafe and I suggest sticking to highway. At Khatauli we had a lunch break at Moolchand Restaurant that has lovely ambience, food and service with well maintained garden where Happy could relieve, stretch and relax. We bypassed Muzzafarnagar, drove through Roorkee Cantonment to Haridwar on road being developed into express highway; making driving slow and dustful. Halfway between Haridwar and Rishikesh, in the late evening, our car had a flat wheel and to my utter shock I found wheel spanner missing in my tool kit with no tyre repair shop nearby! Luckily, I saw an Army Gypsy parked a little distance away and requested for help. I feel proud that in no time, they replaced the wheel with a smile in the true ‘Fauji spirit’! 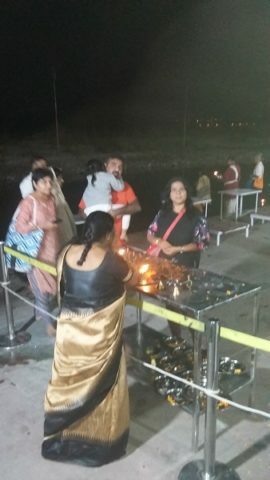 Driving through Rishikesh in darkness, we could not see much except the twinkling diyas after Arti on the banks of Ganga. Though it was pitch dark, it was impossible to miss well lit billboard of the Bull’s Retreat ahead of Shivpuri village and we were warmly greeted by courteous Mohinder and staff of Retreat who shifted quickly our baggage to two rooms alloted to us. The most pleasant event to watch on arrival was the bon-fire that is lighted after last light around with all guests in the retreat sitting around munching salted peanuts, pop corns and sharing their day’s experiences while our grand children played around with Happy. In such informal gatherings one comes to know who all have left the retreat and all those who are the new arrivals. We were all very tired, had quick buffet dinner and slept like logs. I got up around 0530 hrs & took Happy for his morning walk. On return, I brewed tea & both I and Rajni came out and enjoyed it in the lawn where tables and chairs were laid for serving morning tea and buiscuits centerally, giving another opportunity to meet each other. Vicky and Kuldeep-two members of the staff took all of us less Rajni for the morning trekking. We all took walking sticks and Happy too joined us for our first adventure. 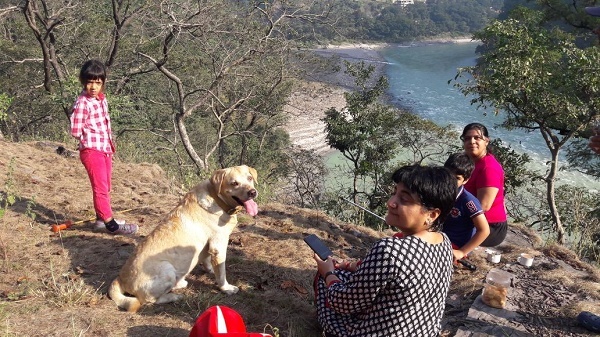 After 30 minutes moderately tough climb, we landed at a view point offering awesome view of the majestic river Ganga with crystal clear flowing water. After clicking many pictures, we trekked to river bank and enjoyed chilling our feet in the cold fast flowing current. We were thrilled as the retreat staff surprised us with hot cup of tea and biscuits at the riverfront. Happy too had holy dip in Ganga and swam in shallow water. When we returned elated and bit tired, Vicky announced that 5 years old Aariana has been the youngest member so far in this trek. We all cheered and clapped for her. 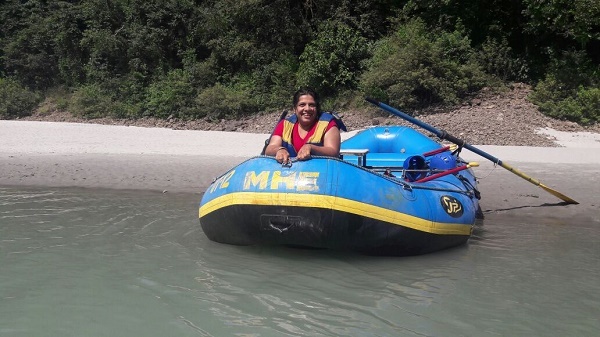 In the afternoon, I and Rajni stayed back with Happy to take care of our grand kids as children below 14 years are not allowed rafting. Nanu, Sheri and Shefali with Vicky and Kuldeep as guides went about 15 km uphill towards Devprayag in SUV laden with inflated rafting boat and small rescue boat. When they returned in the evening, they were all thrilled with their maiden rafting experience and adventurous negotiation of rapids. Wearing life jackets, besides rafting over 13 km, they swam in the fast and cold river current holding the boat. Meanwhile, Aahaan tried vertical rock climbing, while I spent some time in the Everest Museum on the first floor of the Bull’s Baristo Restaurant. In the evening around the camp fire, every one enthusiastically narrated story of their adventure under the watchful eyes of their guides in their respective event. We all were tired and after quick dinner went to sound sleep. 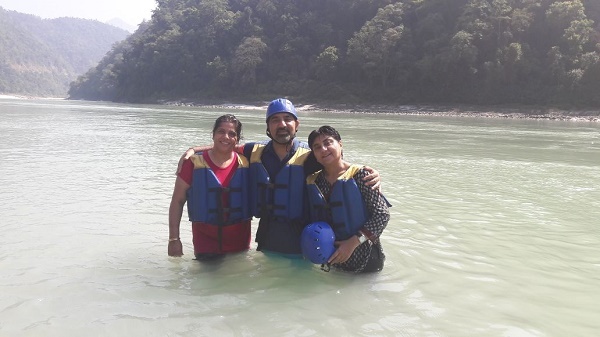 After breakfast, I and Neerja along with guides left for rafting down to Ram Jhula in Rishikesh. 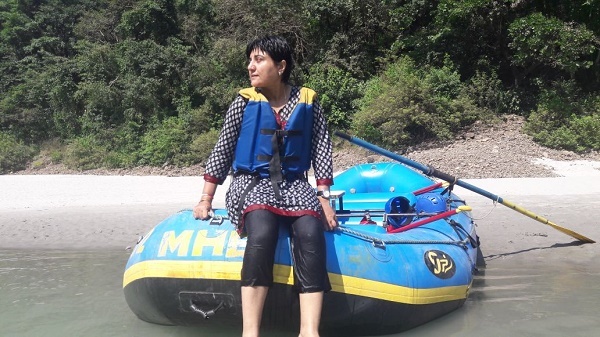 Neerja was fearless and bold, as it was her second rafting experience, giving me many safety instructors, being novice. It was a unique old age experience for me. Neerja also swam in the river holding the boat for some distance and jumped in the river Ganga from 20 feet vertically protruding rock. 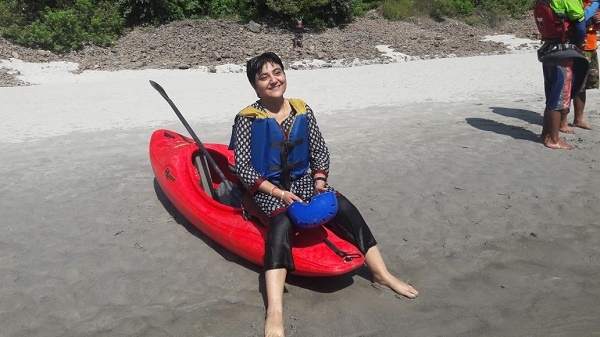 She equally enjoyed kayaking too. In the afternoon, Shefali, Sheri, Aahaan and Aariana went for swim and kayaking in still but cold river water while rest of us relaxed in our rooms. In the evening Nanu and Aahaan enjoyed sliding down the zipline and thereafter we all drove down to Rishikesh to participate in the mass Ganga River Aarti. Shefali also collected Ganga Jal in few small half litre jerycans for self, friends and the family. We arrived back to retreat around 2000 hrs and after quick dinner, before sleeping, packed our stuff to drive back home after an early breakfast next day morning. Next day morning after breakfast, we loaded our cars; profusely thanked each member of the Bull’s Retreat for making our stay exceedingly comfortable and most memorable and letting us busts our physical and mental stresses. Very interesting write up Sir. It does motivate one to take on the trip. Never knew that Col Narindra Kumar had a Resort there. A True KUMAONI and Mountaineer unparalleled. His patrol to the icy heights chalked the way for what we hold. Nice to see the Spirit of you and family going out for such outings. Thank you for showing the way to us…. Looking forward to ride there some day. Thank YOU so much Col Sohan Roy… who can beat your motorcycling records in our country. Kindly do write for Ghumakkar your motorbike sojourns. I am so proud & happy we have so many such legends like Bull Kumar, late Majs Som Nath Sharma & Shaitan Singh both Param Vir Chakras (PVC) & many many MORE. Again, a well written log Sir. Looks like an action-packed trip for the entire family whilst having a lot of fun. My sincere thanks to Archana, Musaffir & Lt Col Sohan Roy for their comments. Col Roy who has set his own benchmarks in adventure motor biking all over India from Ladakh (Chushul) to Northeast (Walong) & across length & breadth of the country & is two Limca Books record holder. There are many reasons why Bull’s Retreat in Shivpuri must be on your & Ghumakkar most-visit list. 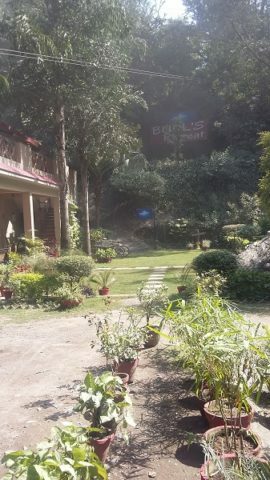 Those interested in adventure sports like rafting,kayaking, river swimming and diving, trekking, bird watching, yoga and meditation or just simply relaxing for stress busting must visit & stay in Bull’s Retreat who simplify adventure sports to every one’s needs enriching our lives. Oh, Shivpuri. Col, your log reminds me of my own trip in 2000. There after I visited the area a few times and every time, we would drive up further and stay in one of the white-beach tents, on the other side of the river. And then the usual routine of late night bon-fire, and early morning rafting. You are so spot on when you talk about the bottled-stress and limited avenue to take it out. These outings provide an excellent getaway. 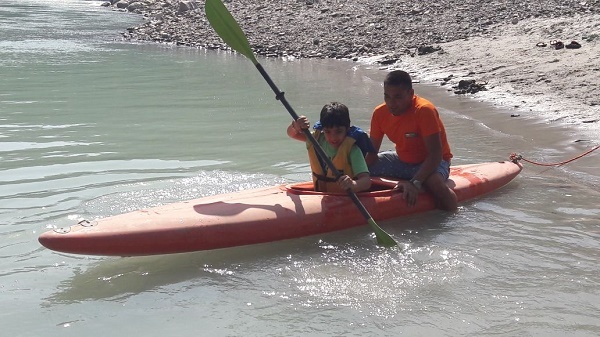 I last went to Shivpuri in 2014 and this time I didn’t raft since my daughter was now big enough to raft and I was to pick her before the grade 4 rapids start. Thanks Mr Nandan for your comments. 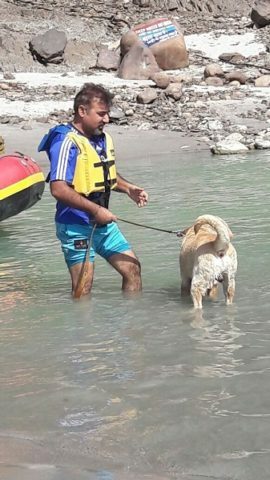 We all found Bull’s Retreat a BLISS for adventure sports as Col Narender Kumar ‘Bull’ is an icon of adventure sports- may it be mountaineering, trekking, skiing, rafting with adequate trained safety staff who keep an eye on novices. Others in the game are commercially exploiting tourists on the name of adventure sports. Enjoyed the article as it was informative. The photo montage also added to the sense of adventure when reading about the Bhatia family holiday. Colonel NN Bhatia’s travelogue makes absorbing reading. Well-illustrated with photos and described in great detail, it generates both interest and curiosity. The reader almost wishes he were there; this is a true barometer of success of a travelogue. 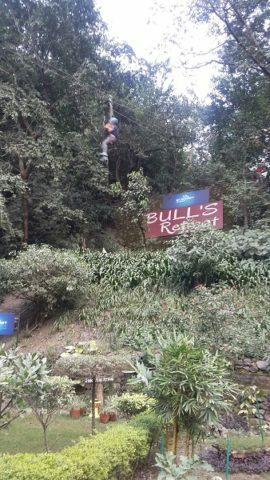 Whether you are a weekend warrior with ‘live to adventure’ spirit or some of those who have plenty of time at your disposal; Bull’s Retreat is an ideal spot to while it there in adventure sports or sheer relaxing. The food, the environment and the adventure activities make every day strong, fresh and healthy. Taking a jungle track not taken ever, leads to the final destination, often a nature- surrounding trail or river Ganga ! Though in my army career I served in the mountains, high altitude areas, desert & jungles 35 years back, at 75 years age, there was a little physical stress and little pain in trekking and rafting so well organised by the Bull’s Retreat. I recommend it is an ideal place for stress busting so near the NCR! A wonderful vacation I must say! Enjoyed reading it . 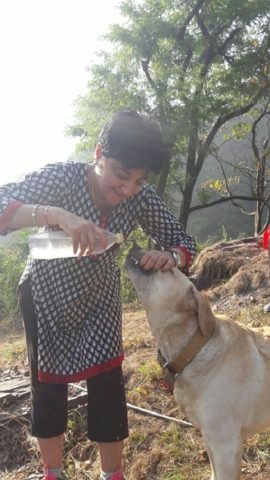 As you said,it is very important for us to unwind ourselves .What can be more rejuvenating than to retire into the lap of mother nature? One must always plan a trip close to nature ; this way we keep our anxieties and depressions at bay. Thanks Koyela! I shall be very happy if you can read my all travelogues and comment.God bless. The Mughal connection is attributed to the relationship of Sawai Madho Singh, the ruler of Bhangarh in 16th Century with Raja Mansingh I, who was a general in Akbar’s army. These two chieftains were brother. Their father Bhagwant Singh was the ruler of Amber. This Mughal association is believed to be continued till the death of Aurangjeb. 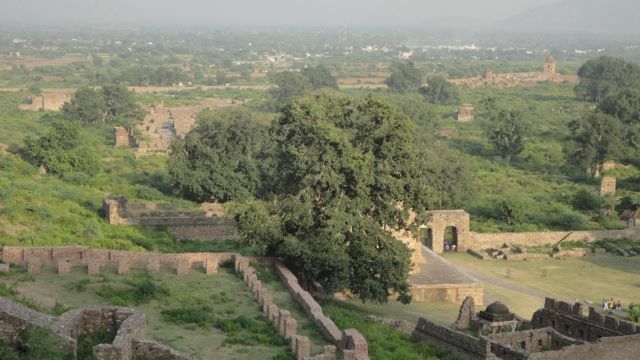 When the Mughal empire weakened, Bhangarh was attacked by Jaishingh II in 1720 AD. Later, a famine broke out in 1783 AD, which forced the inhabitants to abandon the city. However, history apart, the fort premises had the reputation of the haunted place till recent years. And, such reputation became the main reason for the tourist to flow in that sleepy village. At the first sight, it seemed that the ruins of the fort and residential buildings were scattered all over the place, which makes it difficult to see the important places without any guide. Realising the same, the Archaeological Survey of India had put a reasonably good guide map there. I tried to decipher that map, but could not succeed in the first attempt. I started feeling that such maps could be used only after one visited all over the place and returned to the map only to understand what was what. Anyway, with the help of subsequent attempts at the map, we proceeded towards what was once the jewellery market.